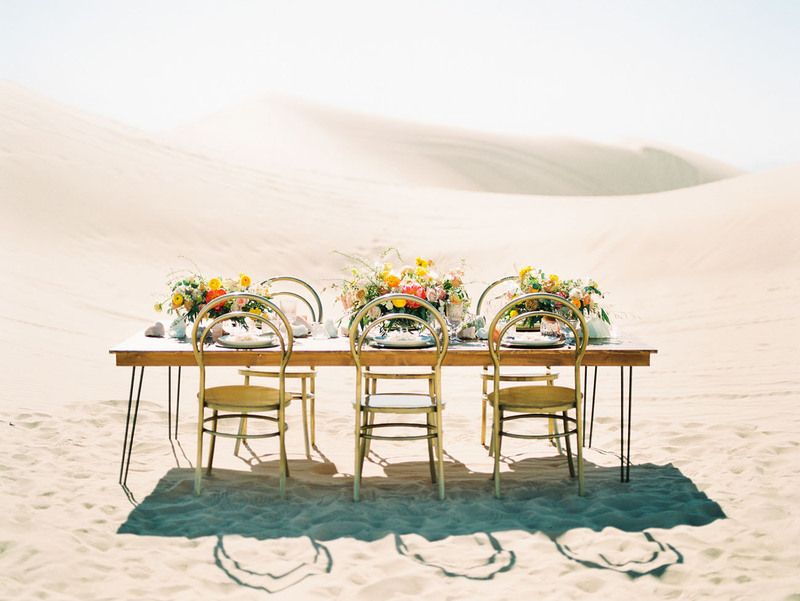 I’ve been inspired by the Glamis Sand Dunes for some time. 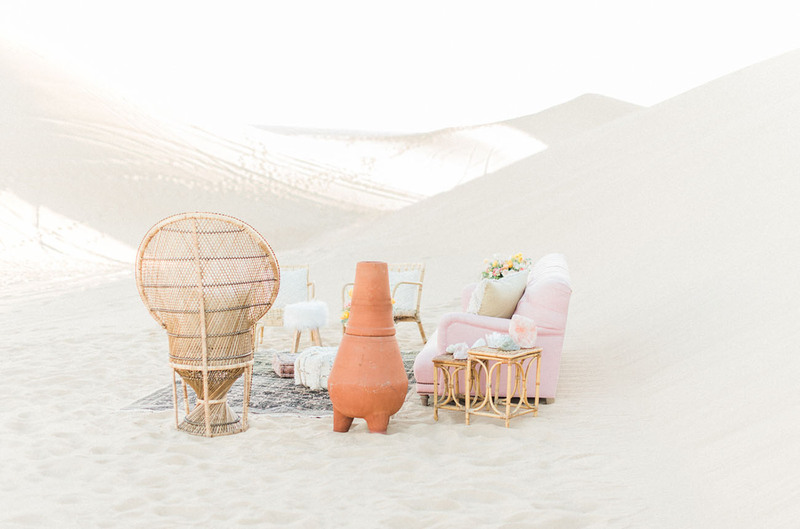 The breathtaking and intimate landscape creates the perfect blank canvas for a creative adventure and whimsical wedding inspiration. 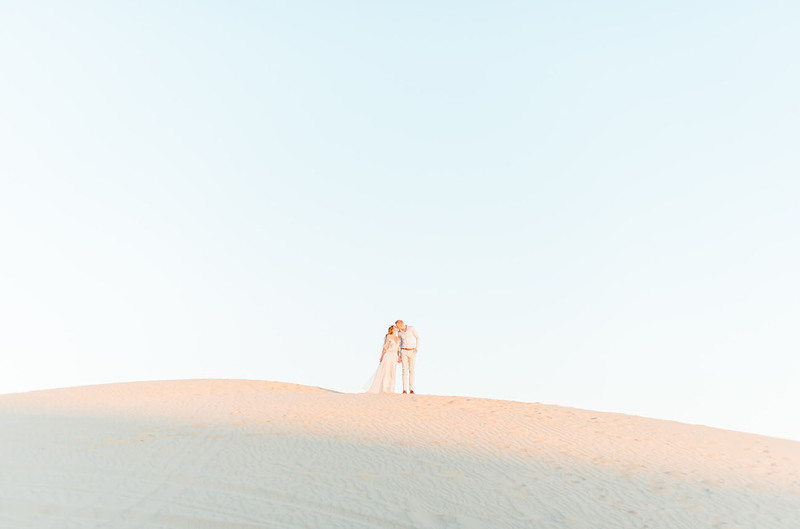 The light and airy feel of the dunes evoke a sense of peace and calm allowing this love story to be ever present in all aspects of the experience. 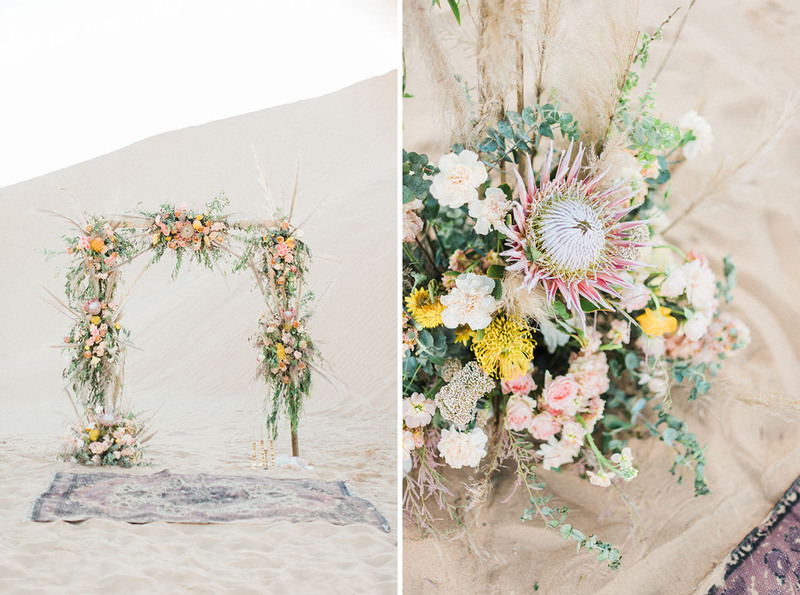 For the florals, I wanted to play off of the naturally occurring muted tones of the sand dunes while accentuating subtle pops of colors with playful pastels to create depth amongst the vast scenery. 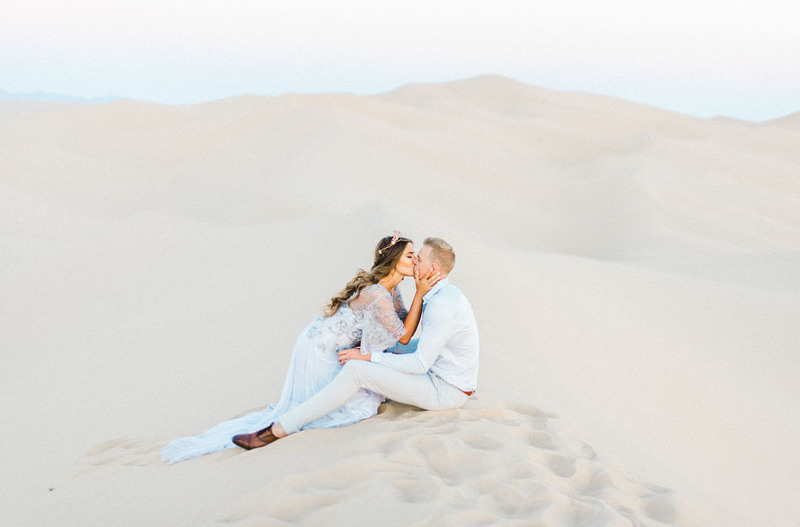 Mink Photography captured every stunning moment amongst the dunes — let’s have a look! 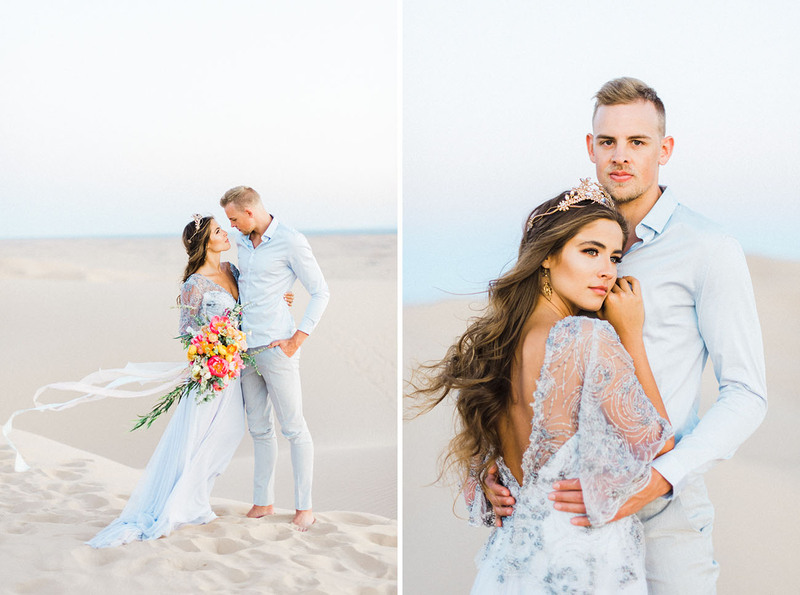 The bride wore a romantic robe by Desert Primrose before slipping into her first look of the day. 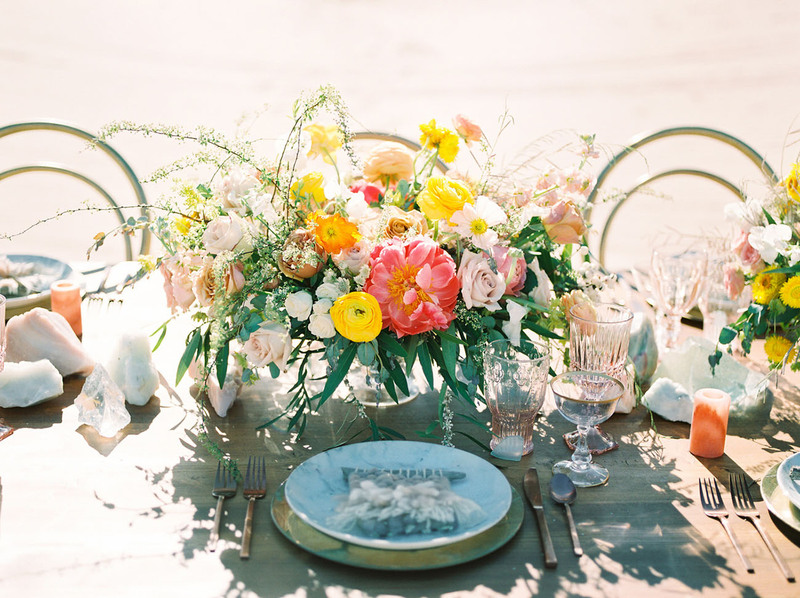 How gorgeous is this invitation suite by Design By Laney!! 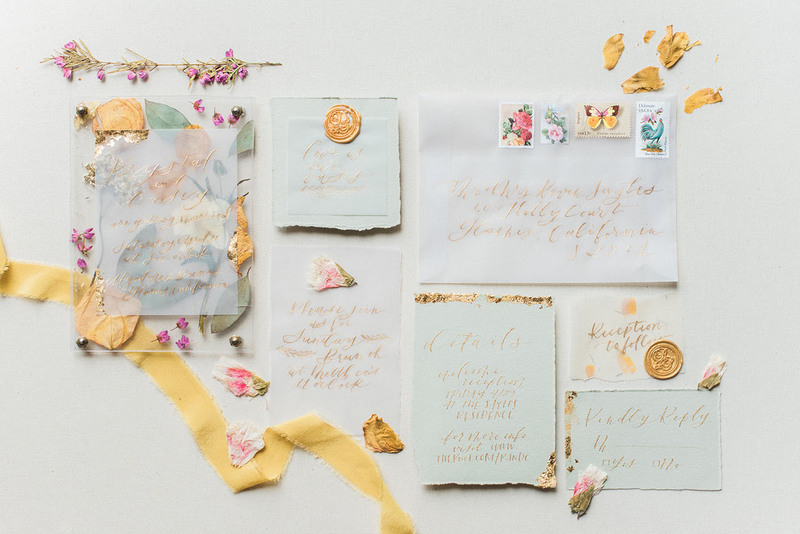 From Laney, With acrylic, pressed flowers, painted leaves, gilded edges, handmade paper, vellum, wax seals, and some gold calligraphy to top it off, this suite literally has everything. Like seriously, try to think of something I didn’t add in! 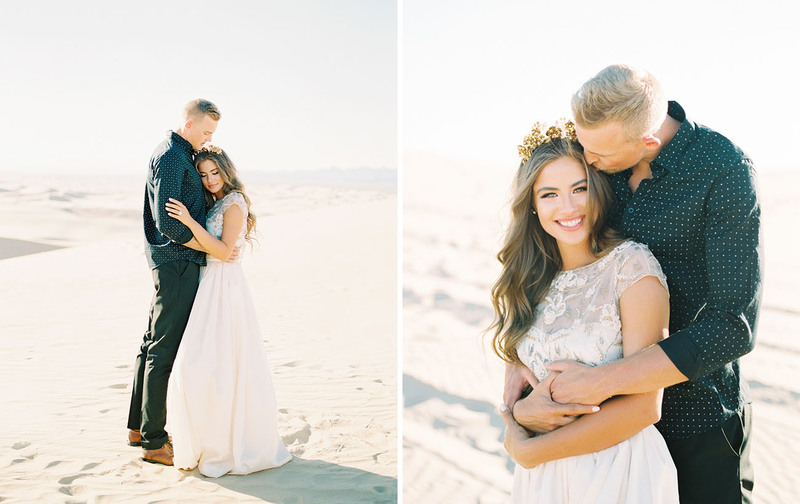 Like a desert queen!! 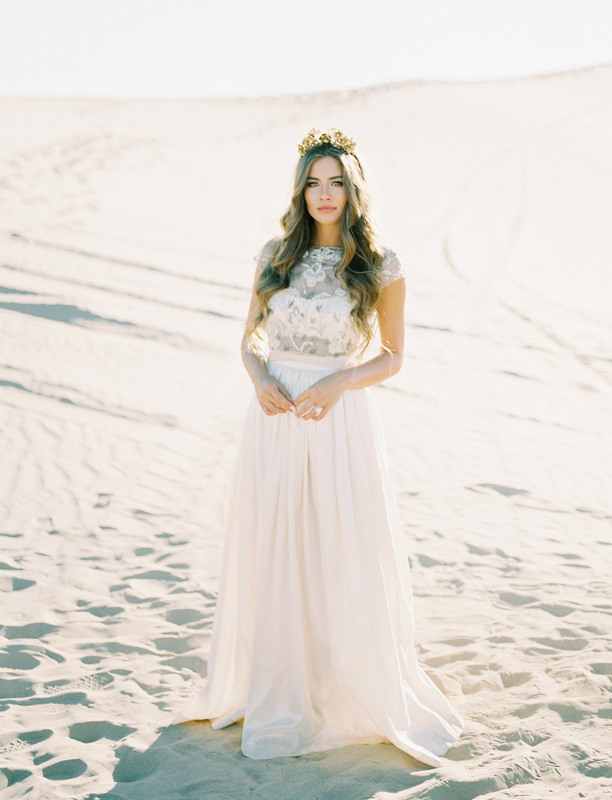 This gown by Natalie Wynn Designs features a beaded bodice and a romantic skirt. 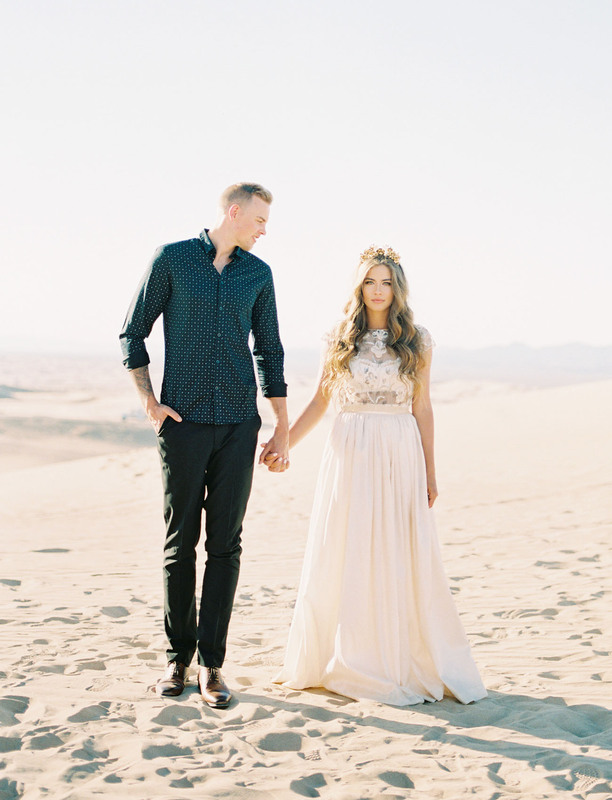 You may recognize her name from this beautiful star-covered dress that we featured earlier this summer! 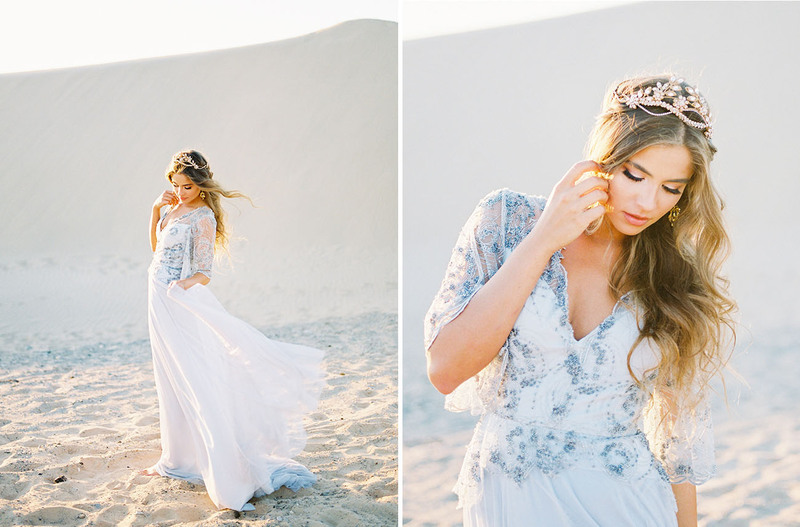 The bride wore a crown by The Blushing Bird, complimented perfectly with hair and makeup by A Toast To Beauty. 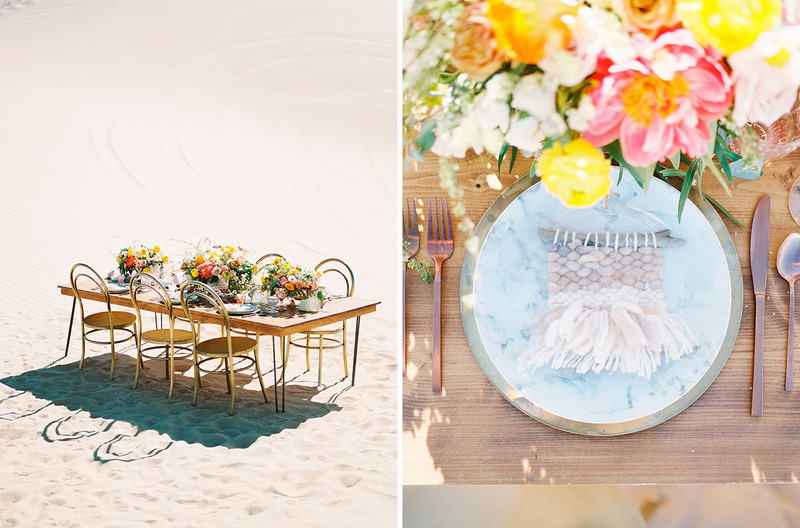 How perfect are these colors against the white sand?! 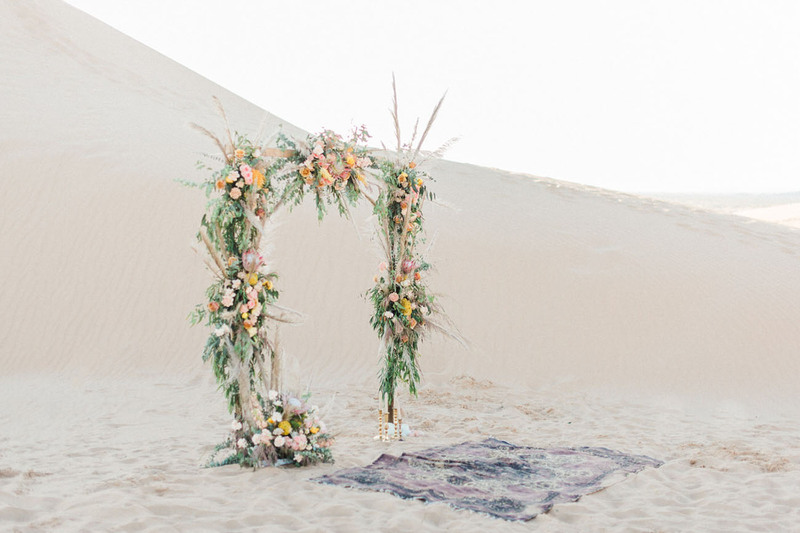 This incredible floral arch by Joy of Bloom Florals fits seamlessly with the whimsical landscape! 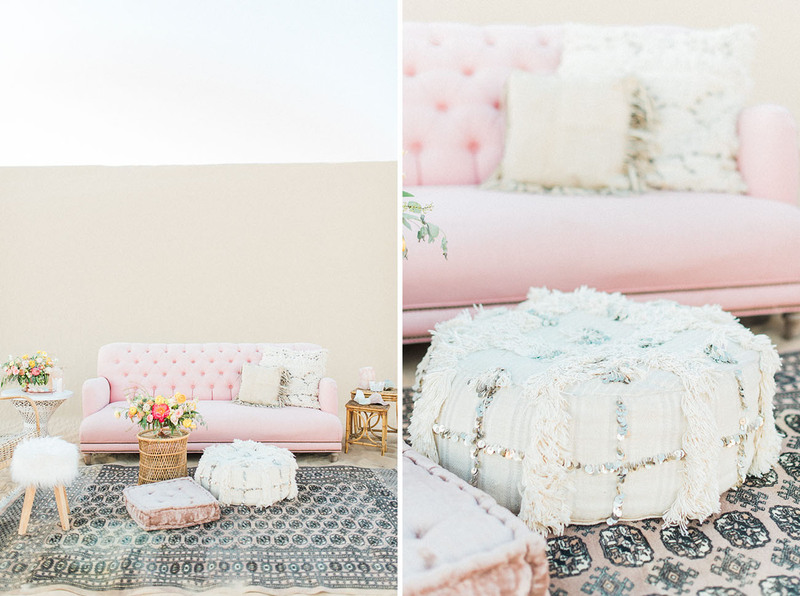 Speaking of color…HELLO, pink couch! 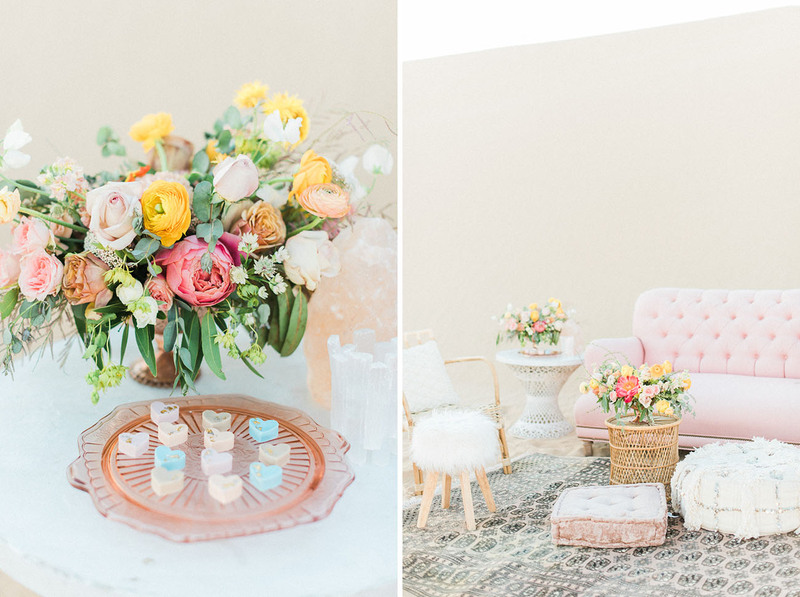 Adore Folklore brought in the furniture rentals for the sherbert dessert lounge of our dreams! 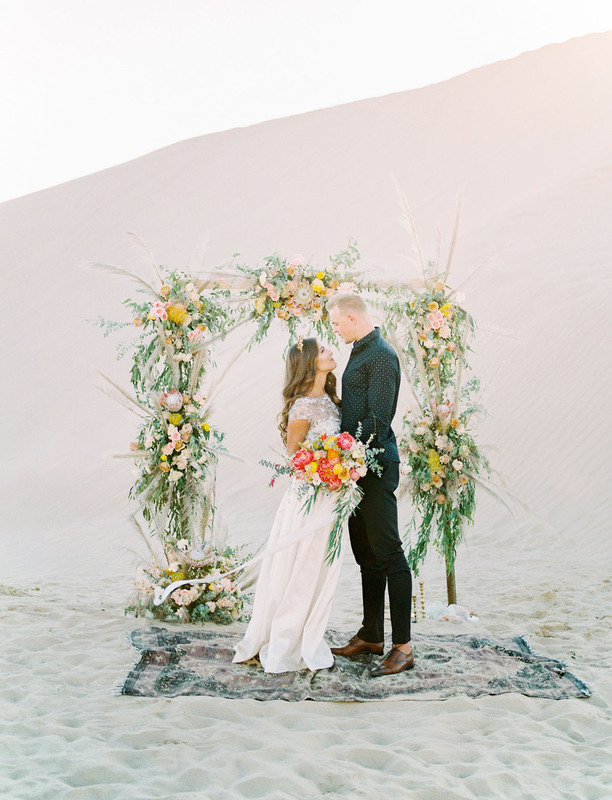 This sweet boho setting is perfect for a small elopement with close friends + family! 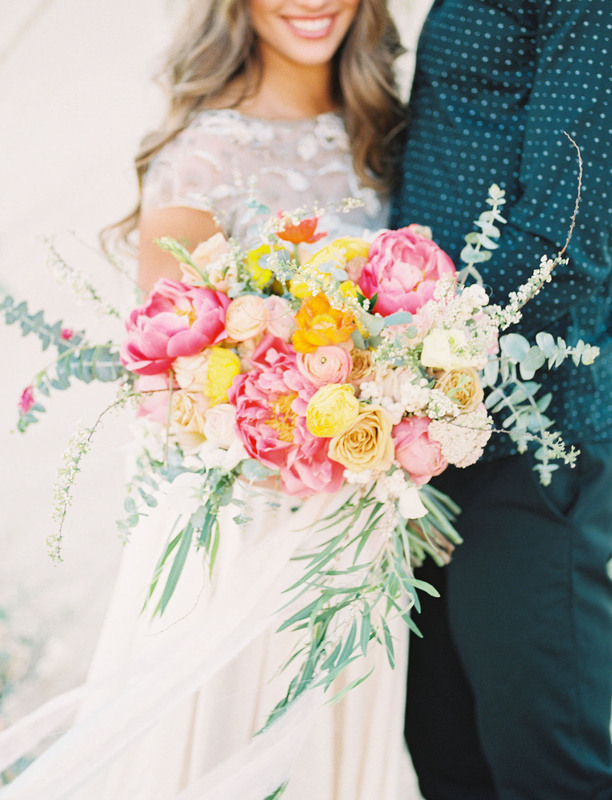 Seriously – how good are these florals?! 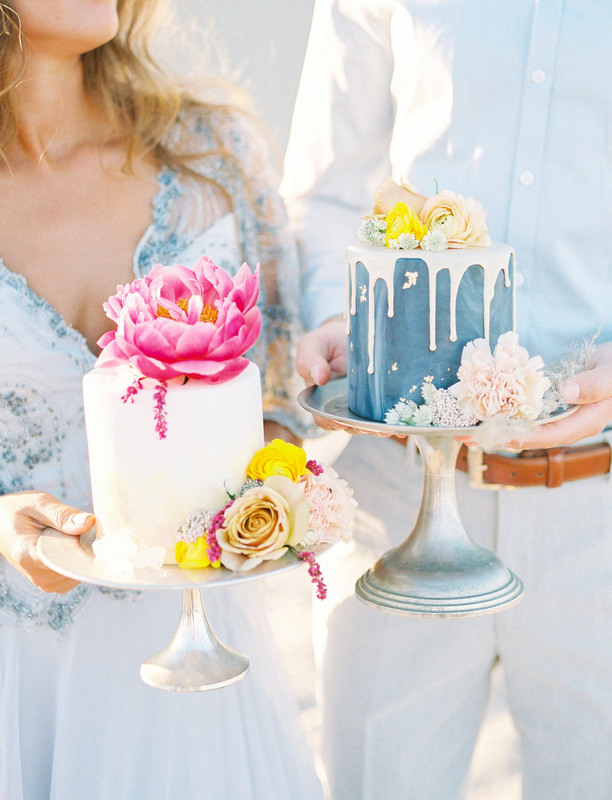 Elise Cakes created the cutest his and hers cakes! 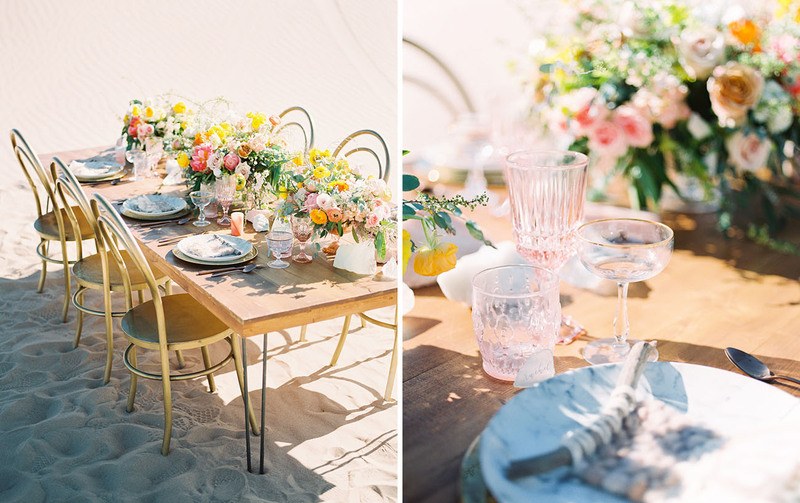 It’s so hard to decide if the first or second look is our favorite! But what we do know: he looked dapper all day, outfitted in ASOS. 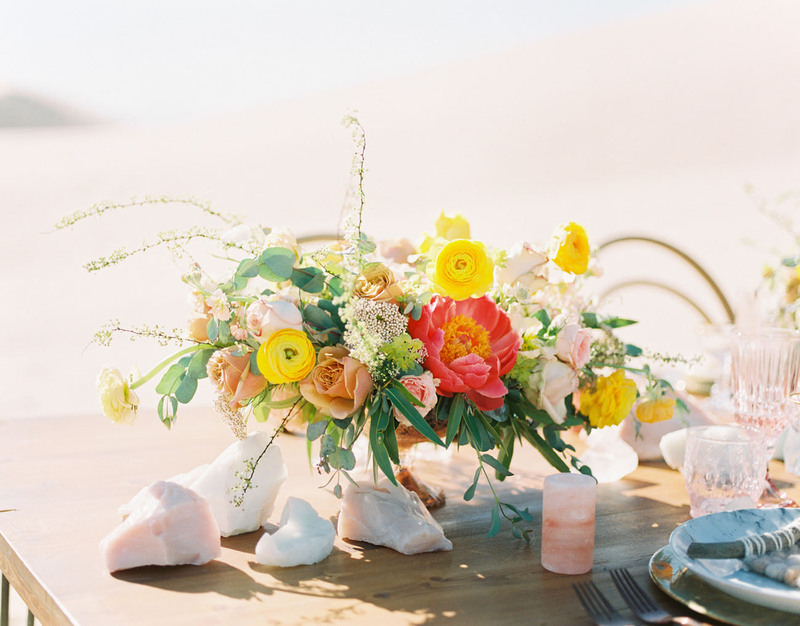 More elegance from Natalie Wynn Designs! I wanted the proposal to be meaningful to both Jamie and I. 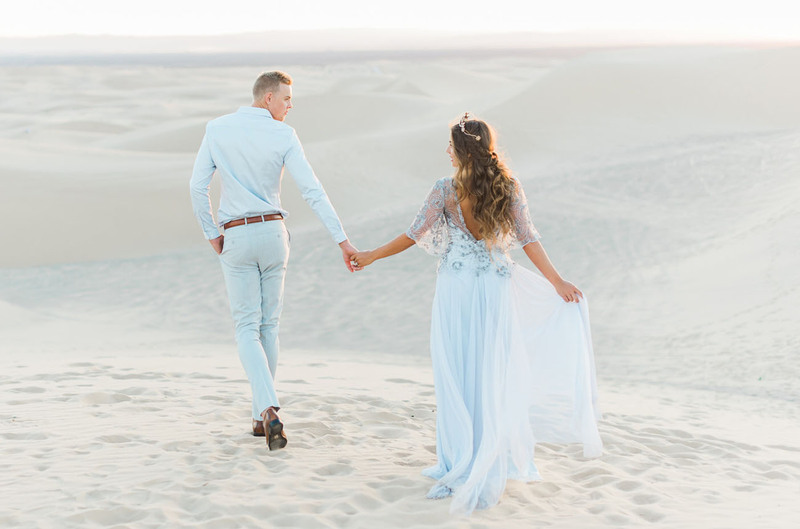 Since “we” began at Coachella, I decided that I would propose on the same day we had met the previous year​,​ ​and ​a​t the same incredible place.​ I remember it so clearly; the moment has played over in my mind countless times, each time I get that same feeling of butterflies, a smile washes over my face and I still cannot believe it happened. 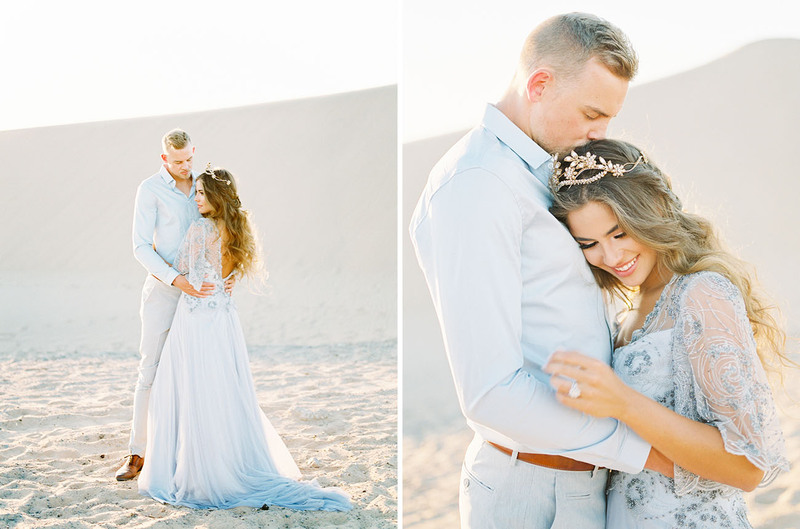 Does it get any better than love + sunsets at the sand dunes?! 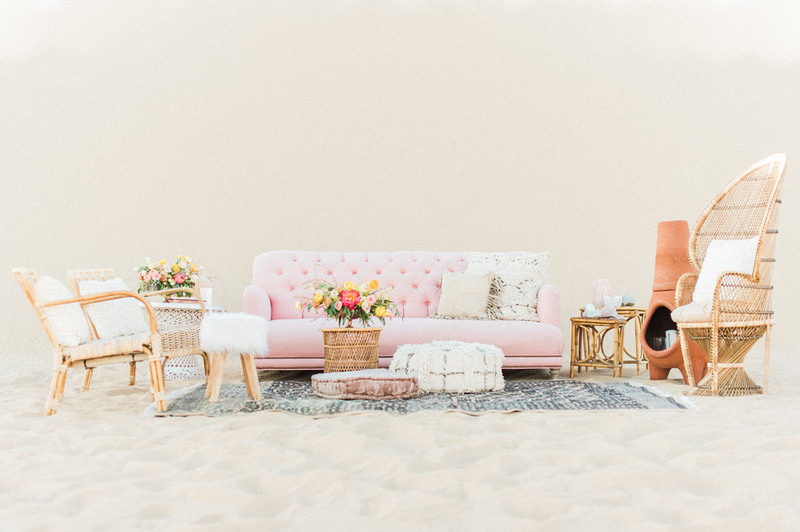 Want more sandy-boho inspiration? 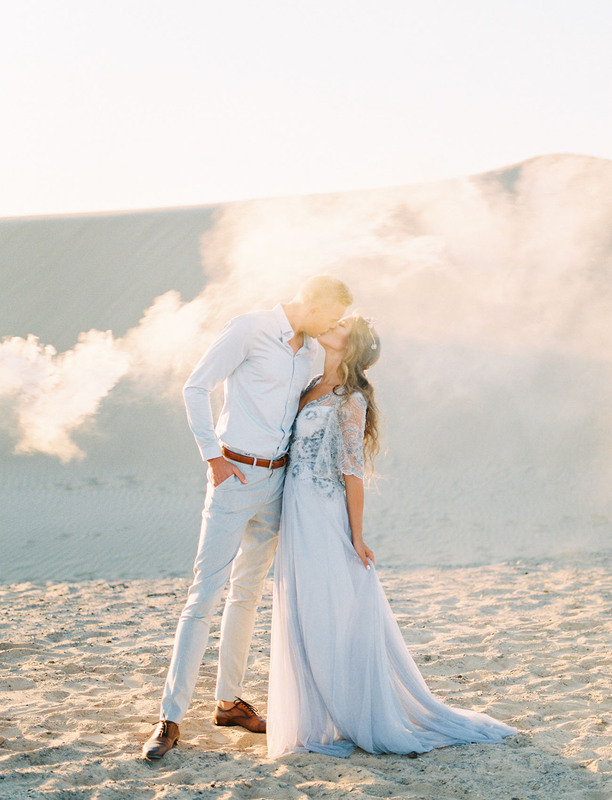 Ragi & Amanda created this romantic video of the day!